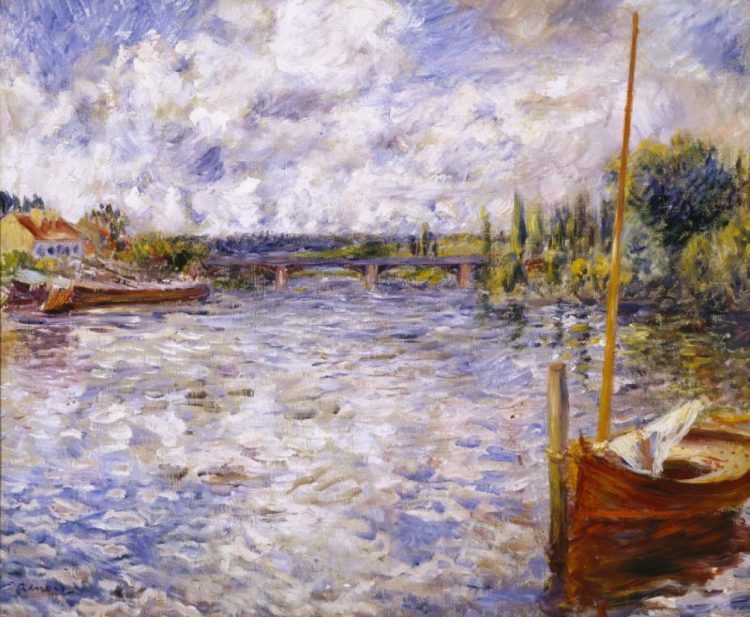 As early as 1869, Pierre-Auguste Renoir was exploring the banks of the Seine River west of Paris, seeking subjects for his developing Impressionist style, often painting outdoor landscapes with his friend Claude Monet. His mother lived near Louveciennes, not far from Chatou, where he would frequent the Maison Fournaise with its restaurant, lodging, and boats for hire. The Maison Fournaise would become the backdrop for his masterwork Luncheon of the Boating Party (1880-81), with members of the Fournaise family serving as models. In this lively rendering of a gusty day on the water, Renoir includes a sailboat, signaling in his painting the growing popularity of the sport. Of all the people depicted in Pierre-Auguste Renoir’s Luncheon of the Boating Party, perhaps the most vital to the artist’s emerging reputation at the time was Charles Ephrussi. As a critic, collector, and advocate, Ephrussi offered Renoir valuable support and introduced him to a number of prominent members of society who commissioned him to paint their portraits. Together with the elegant Marguerite Charpentier, Ephrussi influenced the placement of Renoir’s portrait of her with her children (Metropolitan Museum of Art, New York) in the Salon of 1879, helping to shift Renoir’s career toward critical and commercial success. In advance of the show, Ephrussi had expressed interest in seeing the recent portrait, and Renoir gladly took him to the Charpentiers’ house for a viewing. 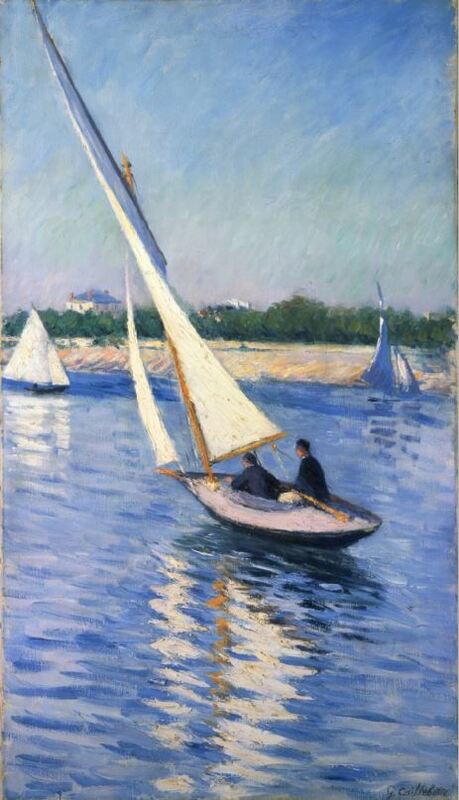 Ephrussi, who had purchased work by Renoir for his collection, emerged as a vocal advocate for Impressionism in 1880 when he praised Caillebotte’s paintings in the fifth Impressionism exhibition, and, in a review of the sixth, deplored the absence of Manet, Monet, Sisley, and Renoir. Ephrussi used his influence to get Renoir an advantageous hanging at the Salon—that Marguerite Charpentier was a prominent member of Parisian society did not hurt the placement of her portrait either, nor its critical reception. Charles Ephrussi introduced Renoir to the Cahen d’Anvers, a prominent Jewish family who proceeded to commission portraits from him. 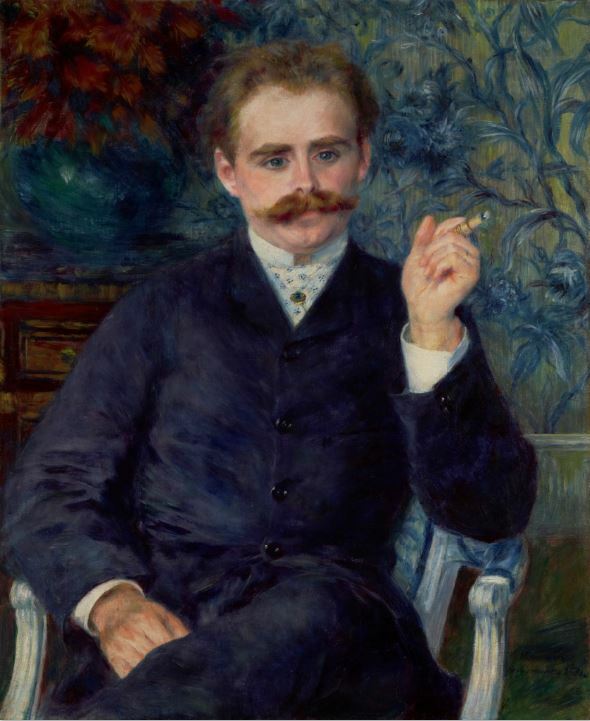 In addition to this image of Albert Cahen d’Anvers, Renoir painted Albert’s three nieces, the daughters of his brother Louis, and his wife, Louise. Ephrussi handled for Renoir the submission of these portraits to the Salon of 1881.